Or a basket full of stars. Not fame, fortune nor rank. No hunger, pain nor cry. Wanting for nothing, never a fear. When I am grey and old. A beautiful poem and great wishes. I especially love your last one. Lovely - yes health and happiness :) Definitely the most important! Ah, that's really lovely. I think I would share those wishes! 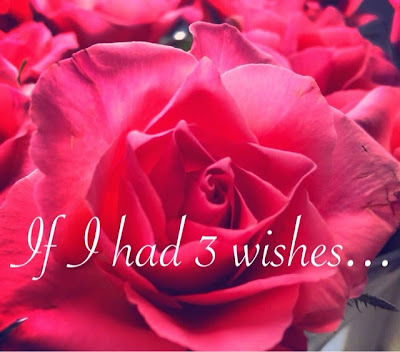 What a lovely set of wishes - how could anyone disagree? There are many others who share your sentiments, I'm sure. Gorgeous words. Hope the genie is listening! Best possible things to wish for.